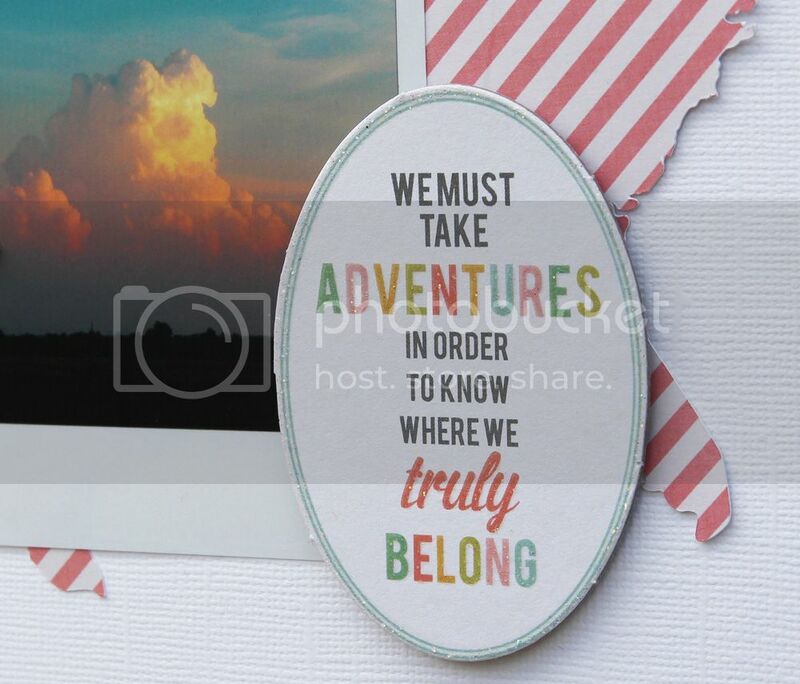 This is truly beautiful, love the color palette, the frame and the USa cards as mat ! 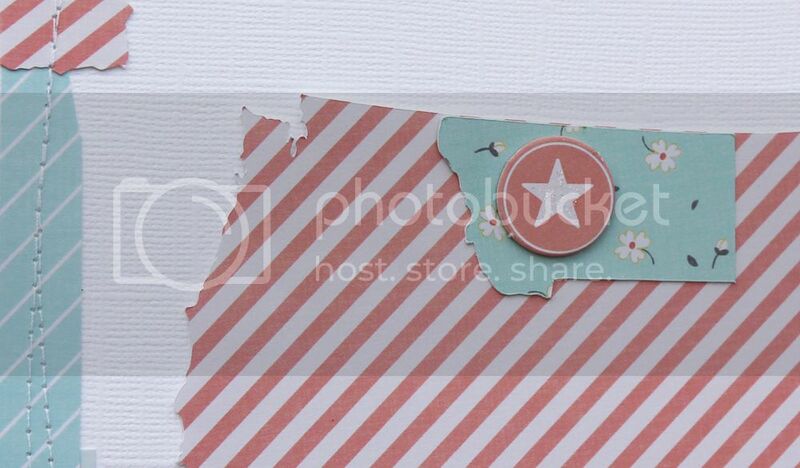 Great idea for using a state cut and a map cut ! Very pretty ! Love this, fantastic page and no I never think to use scraps for the next page, usually just a card or two. Oh, I love this. 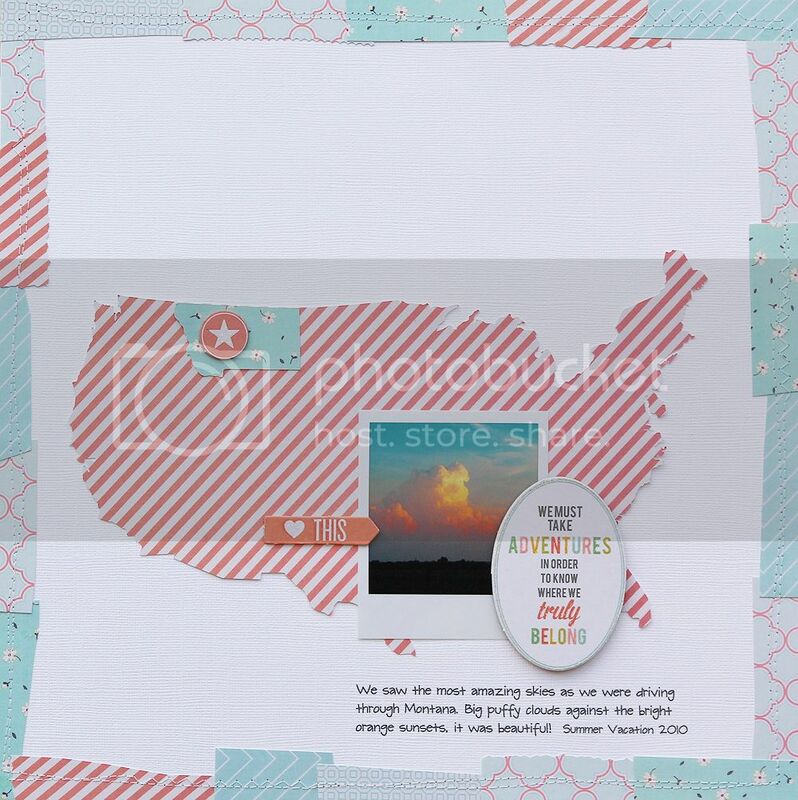 Love the US shape and the use of scraps around the edges. This layout is AWESOME, Mary Ann!! My new favorite! Great use of your scraps and I love your photo! I LOVE this LO! Gorgeous! !